1984 Victory Tour Press Cuttings and x6 Letters Various press cutting relating to the contractual disputes of the Victory Tour, all in original Jackson Management file named Tour Publicity. 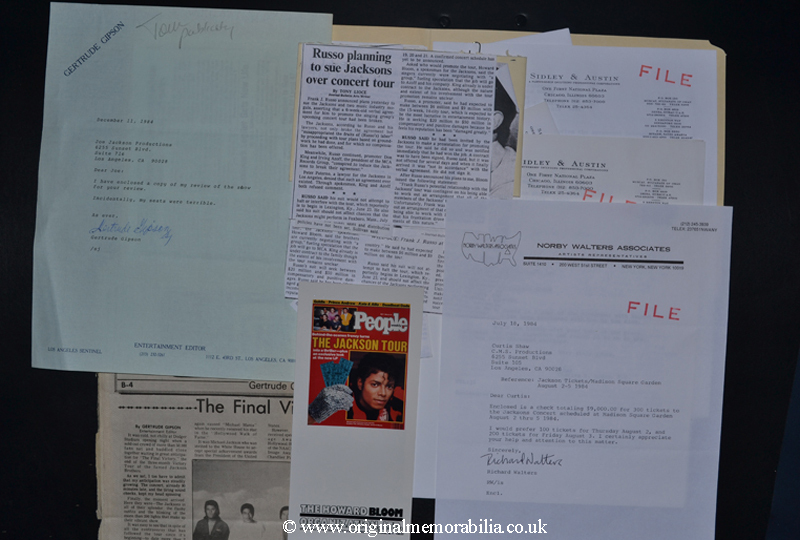 Various press cutting relating to the contractual disputes of the Victory Tour, all in original Jackson Management file named Tour Publicity. Various press cutting relating to the contractual disputes of the Victory Tour. 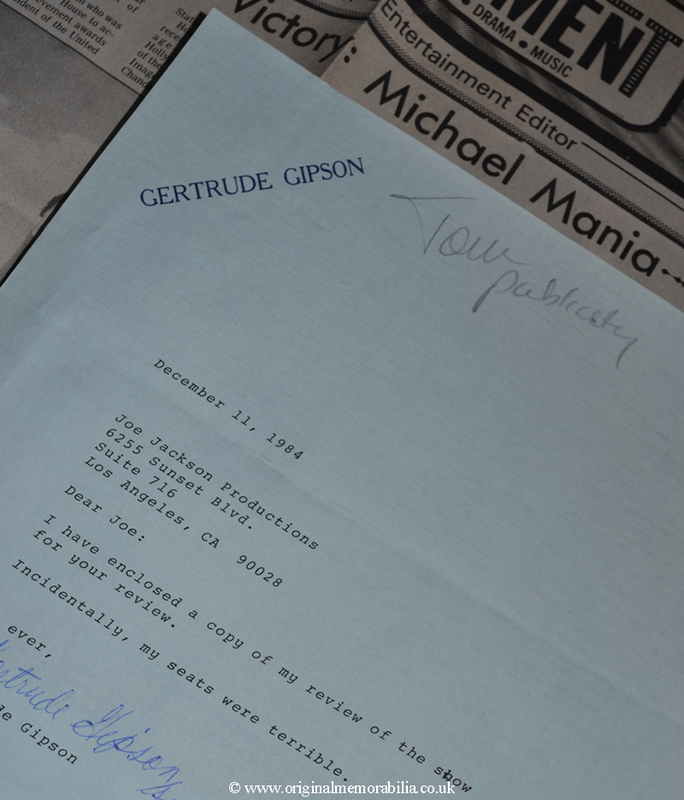 A 6th December 1984 Los Angeles Sentinel review by Gertrude Gipson of the previous nights show and a hand signed letter by Gertrude Gipson advising Joe Jackson that her seats were terrible. 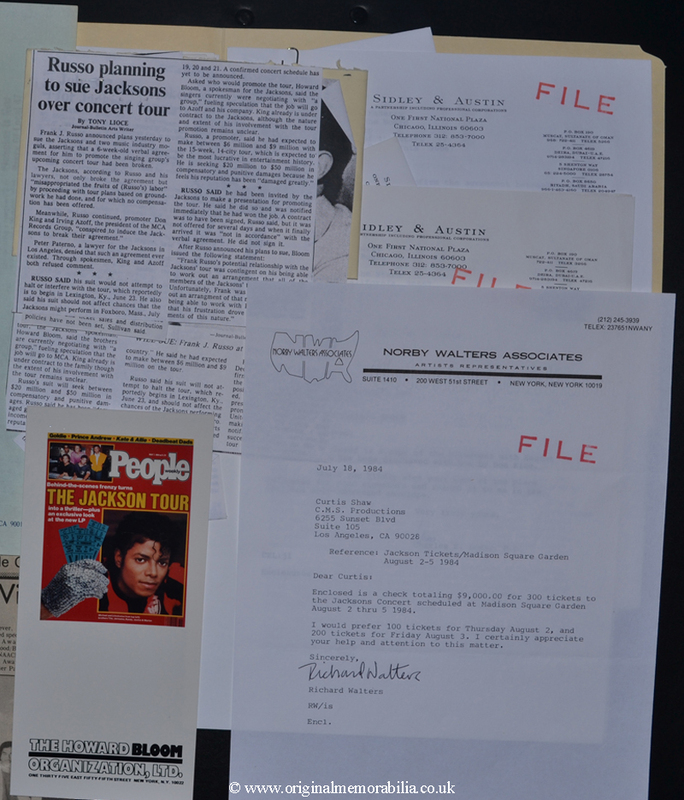 3 original letters and other file copies from business associates relating to agreements with Don King and the purchase of up to 3,000 tickets. 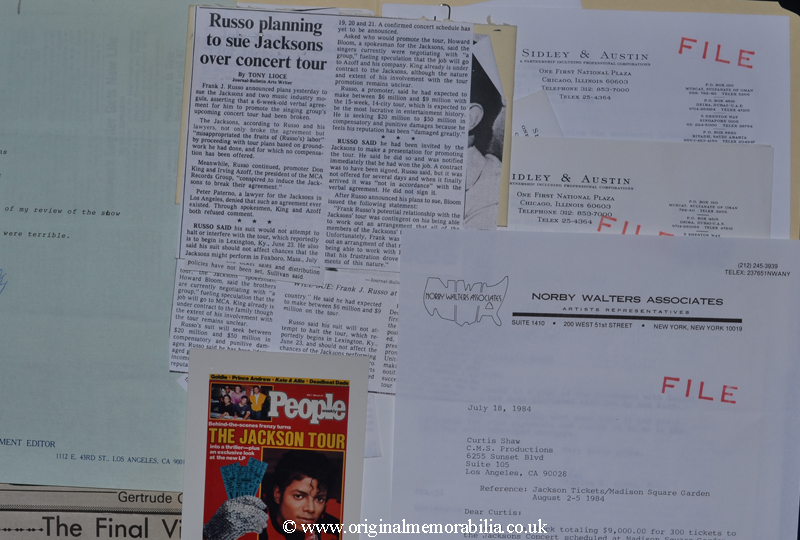 1 Howard Bloom The Jackson Tour card leaflet with Michael Jackson to front, all in original Jackson Management file named Tour Publicity.